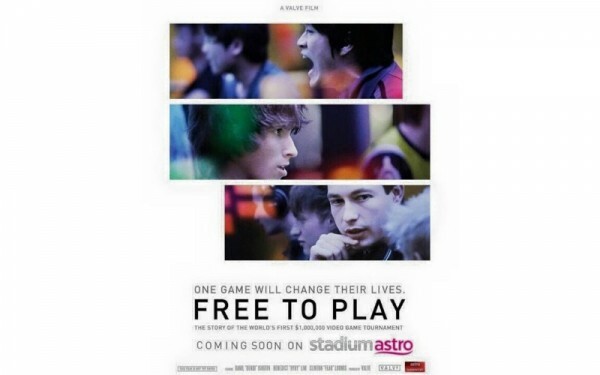 Valve’s Dota 2 “Free To Play” Documentary To Be Shown On Astro SuperSports; Will Ti5 Be Next? Last year, Valve released a rather interesting documentary called Free To Play that take a look at three professional e-sports athletes from different teams, countries, and background with two common similarities: they are Dota 2 players and competing in the first ever The International championship. Interestingly, the documentary is apparently coming to Astro SuperSport really soon. This revelation was made through the channel’s official Facebook page and this obviously has sparked a positive reaction from local e-sports fans even though Free To Play is readily available for free on Steam and YouTube. Truth to be told though, this is not Astro’s first contact with e-sports though as the company once hosted the Pan-Asian Final of the now defunct Championship Gaming Series (KL Taufan, anyone?) in its studio in 2007 toghther with numerous interviews with local e-sports athletes for variety of its channels over the years. Even though Astro didn’t reveal when exactly it will show the documentary, the timing of this news couldn’t be more perfect as well since the 2015 edition of The International which has now grown to a USD 15 million (and counting) tournament is scheduled to take place next month which will include a Malaysian team – under Fnatic’s flag – once again. Hence, this begs a question: will Astro broadcast The International 2015 on their platform? When fans swarmed them with that very request last month, Astro was not able to provide any concrete confirmation. So, is it possible that things have changed? With that, we are now reaching out to Astro to seek further information if the company is indeed planning to broadcast The International 2015.